Buying land can be one option for building a new home in Perth, and purchasing a block of land might also be a good idea to build at a later date. What site is selected can have an impact on the design of the property and construction costs since both have to be responsive to the characteristics of the land. Choosing the right site depends on a number of factors, including land conditions and applicable local shire requirements or restrictions. 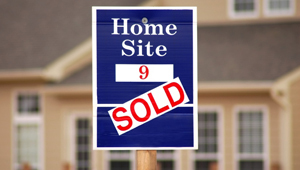 When choosing land, consider the location of the site. Ensure that the property is close to amenities and services that you or your family might need, including transportation links, schools, shops, healthcare facilities and other services. There should also be easy access to utilities such as electricity, water, sewer, gas and telephone services. Consideration must be given to the cost and time needed to connect a new home to these utilities. Other site considerations include the climate conditions, such as any flooding risks. Land features will influence the design of a new home. They can also impact the building costs, especially if significant preparation is needed to lay foundations. Site conditions to consider include the type of soil and how it is distributed across the property. Consideration must also be given to the height of the water table. If there are trees or rock in the soil, these may also have an impact on site works to prepare for construction. Consider should be given to hiring an expert to assess the site and determine what site works are needed before purchasing the plot and building your home. All land available for purchase in Perth is registered with the Land Titles Office of Landgate. A copy of the land title is available for a fee from Landgate and should be obtained in order to determine whether the land you are considering is the same as what is described in the purchase contract. A title is also needed to determine if there are any restrictions on the title that could affect the site. The land title will also provide information on any restrictions that could influence the type of materials that can be used and the design any structures on the site. It will also indicate if the person selling the land is also the registered owner or an agent for the owner. A licensed surveyor may be needed to confirm land boundaries when there is any doubt. For more information about land title, visit www.landgate.wa.gov.au/. When buying land, talking to the local shire is vital in order to learn about by-laws, policies and planning requirements that may affect the site under consideration. Speaking to the relevant people at the local shire will provide information on past land use, including previous use by industry. They will also provide information on any restrictions on the land title that could affect what materials that can be used, the design of the house and the timeframe for construction. The City of Perth can also be an excellent resource to learn about future plans for nearby land, including any industrial or commercial developments or infrastructure construction that can impact views, noise and general enjoyment of the property. For more information, visit www.perth.wa.gov.au. There are several ways of going about selecting land. Prospective buyers can choose a site on their own or employ a builder to help select an appropriate location that meets specific design requirements. Alternatively, a prospective buyer can purchase a house and land package through a property developer or builder. These packages include land title and a pre-approved new home. There is often a great degree of flexibility in choosing a design for the house, although planning approval may be needed if designs are significantly different from what has already been approved. When buying land in Perth, an Offer and Acceptance contract is required. This contract includes two parts - the Contract for Sale of Land or Strata Title by Offer and Acceptance and the Joint Form of General Conditions for the Sale of Land. The Offer and Acceptance contract is produced by the Real Estate Institute of Western Australia (REIWA), while the General Conditions form is produced by the REIWA and the Law Society. There are no legal requirements for a cooling-off period when purchasing land in Western Australia. Unless such conditions are included in the contract, a buyer cannot get out of a contract if they change their mind after agreeing to buy land. When making an offer to buy land for a new house, consider including special conditions or terms such as a cooling off period. Read the terms and conditions outlined in the General Conditions carefully, including the rates and taxes applicable for the property. Finally, consider whether a deposit or the total amount for the land is needed to secure the land. There may be flexibility to nominate a settlement date and setting out terms for paying for the land according to a payment schedule. Before signing any contract, look at seeking legal advice or a conveyancer to assist with the contract terms or with settling the purchase.